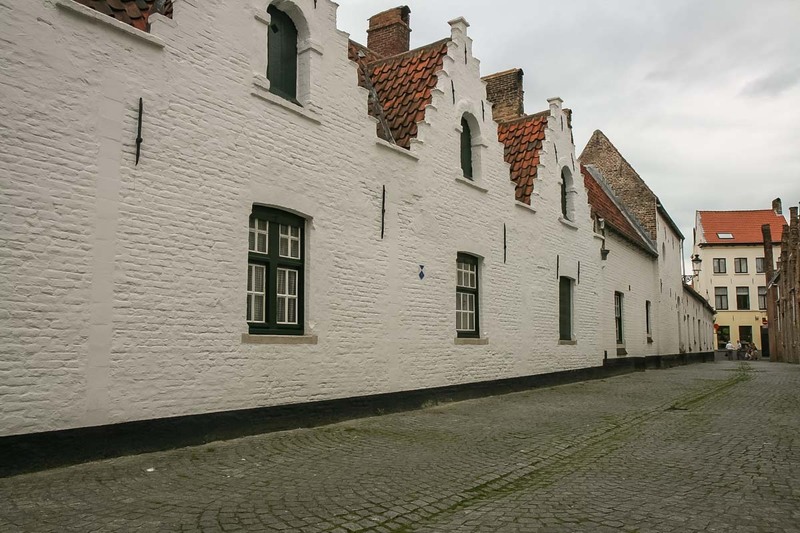 Bruges has a total of 46 almshouses in the city centre. 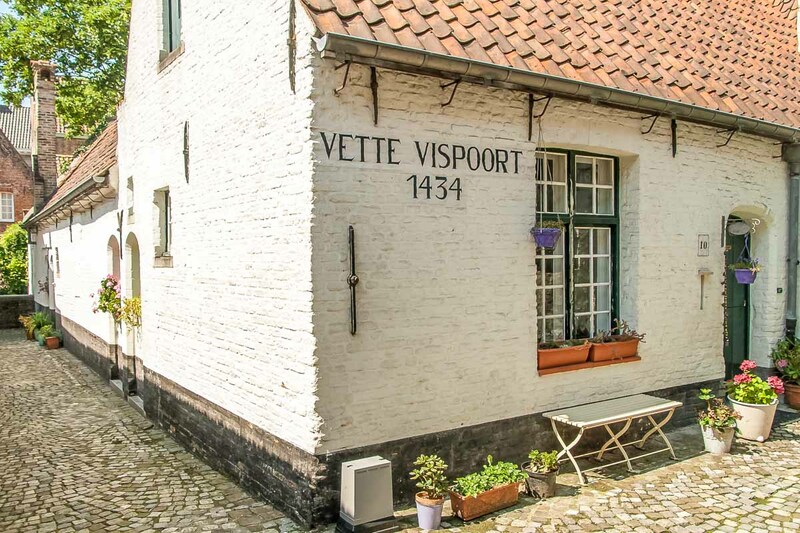 These houses, small and white, with the name of the founder painted on the facade, where build out of social consideration from the 14th century on. They were mainly destined for seniors and people from a determined trade. In later times they were also for single women or widows. 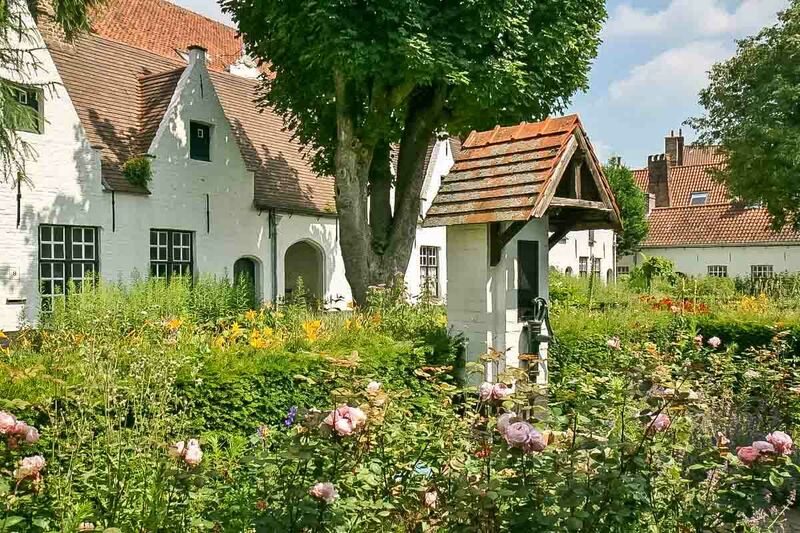 These white almshouses were built by rich families so single women had a place to stay. There was a condition though. In return for the use of these houses these women had to pray for the rich family every day. You might even say that these rich families bought their way in to heaven. For that purpose, each set of almshouses had its own chapel where the occupants of the almshouses would be expected to send their prayers of thanks up to heaven. 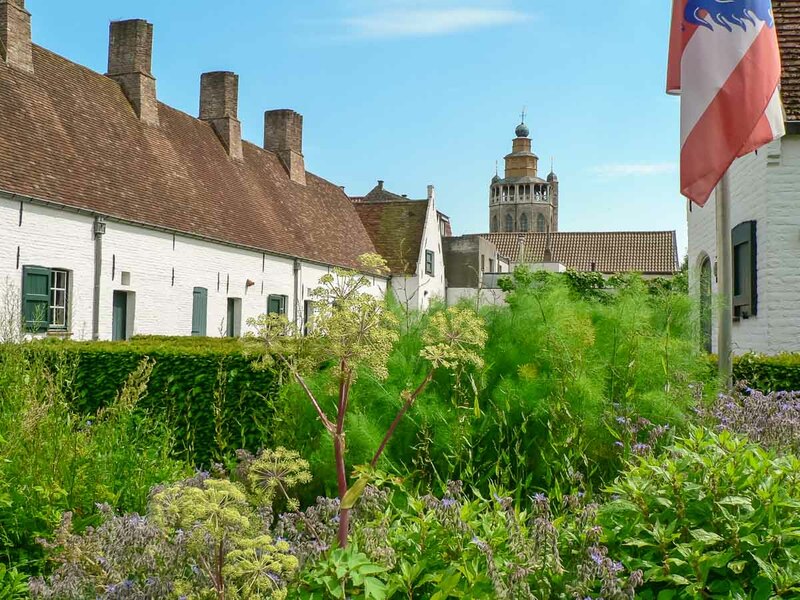 Practically all of the almshouses have been carefully restored and modernised and offer cosy living to today’s elderly, whilst their small yet picturesque gardens and whitewashed façades offer welcoming peace and quiet to the present-day visitor. Feel free to enter these premises, but don’t forget to respect their perfect tranquillity. 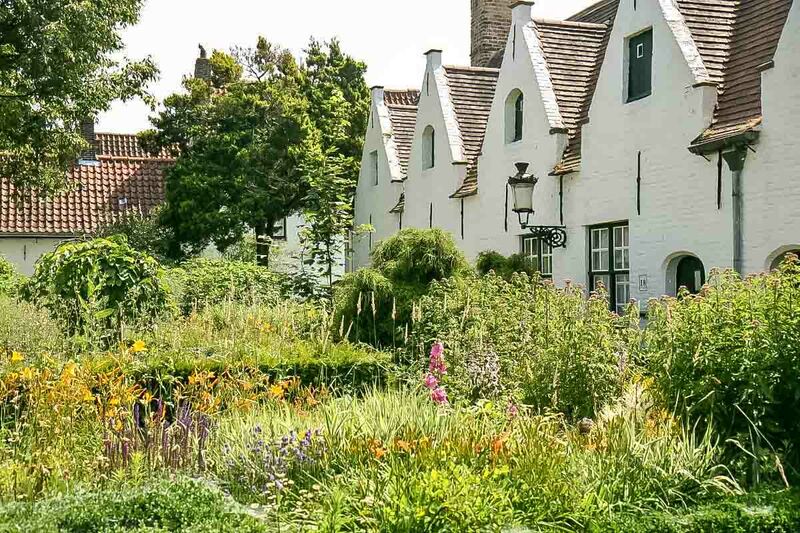 Today their picturesque gardens, white façades and glorious silence are the city’s havens of peace par excellence. 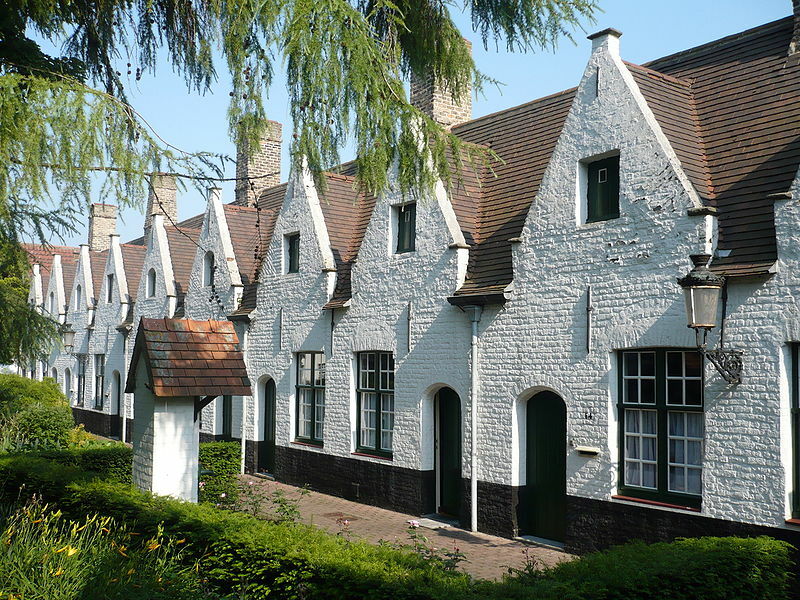 The almshouses were built around an interior garden or in a long row along the street. Sometimes they also had their own chapel. As previously mentioned, they were built as social service, but also out of charity. 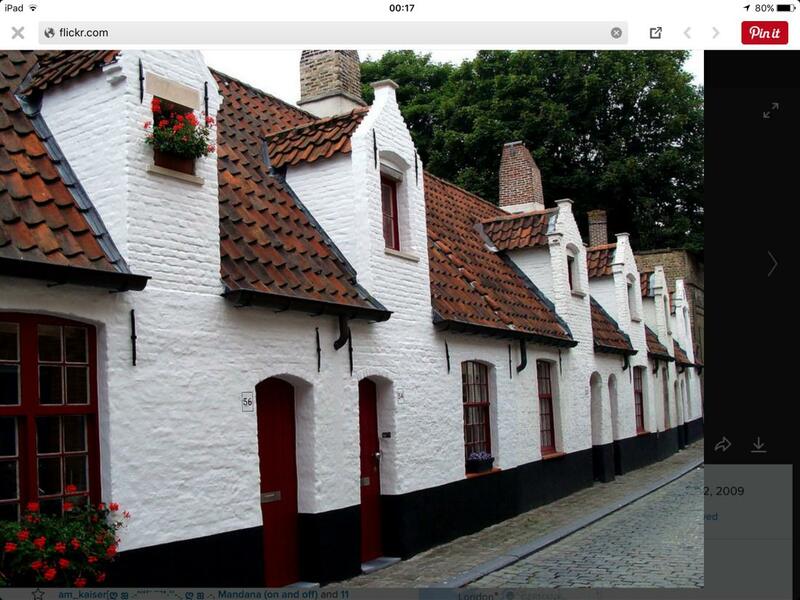 Many of the houses don’t have window towards the streets since you had to pay tax for each window towards the street. Today most of these houses are still seniors' residences and are of Social Services' management. Some of these houses received a new function: the almshouses in the balstreet are now the museum of Folklore. 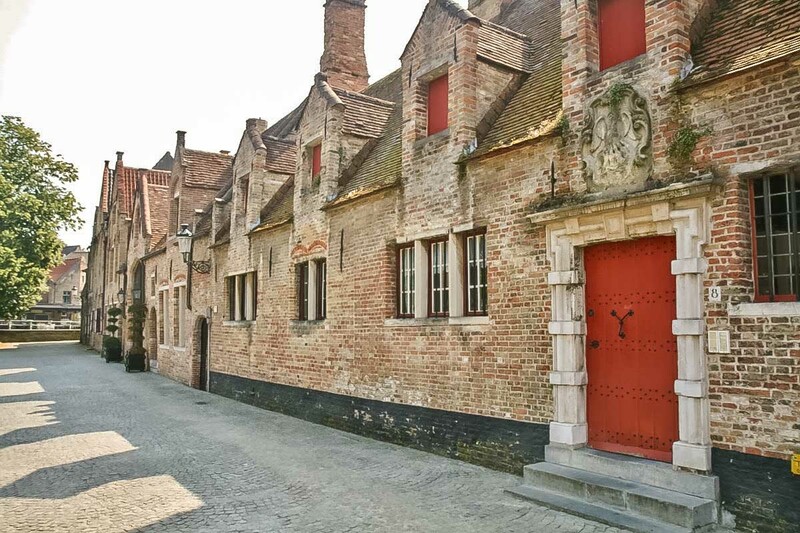 This is part of the history of Brugge and no visit is complete without passing by the Almshouses - "God Houses". 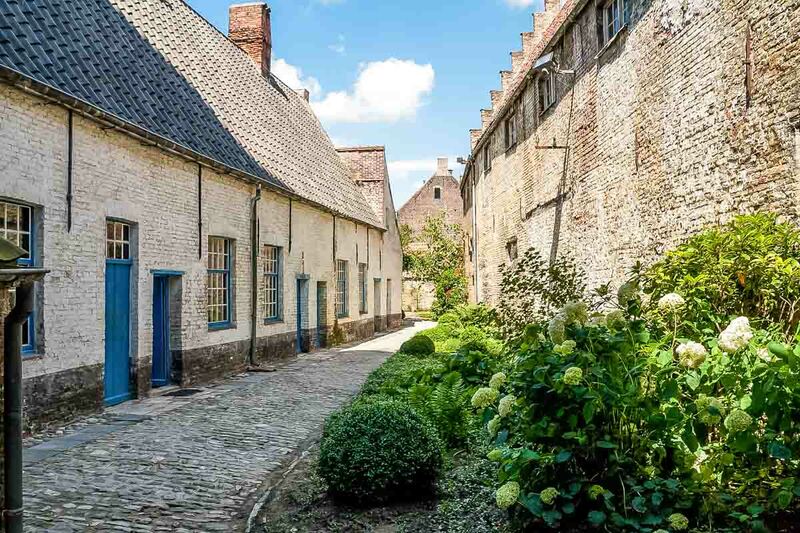 De Meulenaere and Sint-Jozef (Nieuwe Gentweg 8-22) - Recommended ! !